Machine Science is a non-profit engineering education company based in Cambridge, Massachusetts. This company is dedicated to providing and supporting hands-on "C" based microcontroller projects for schools and hobbyists. Machine science also provides comprehensive curriculum resources designed to teach real "C" programming to novice educators and 7-12 grade students. Follow the link to learn more about how you and your students can learn to program in a "C" based microcontroller environment. SolidWorks supports student robotics teams with a range of resources including curriculum, parts, tools, and more. Autodesk provides student training resources and over 35 free software downloads via Autodesk Student Communities such as the UK Education hub and the US Education hub. Deltran Inc. is a recognized leader in the manufacture of lead acid battery chargers. These are the chargers we include in every GEARS-IDS kit. We chose the Deltran Battery Tender charger because Battery Tender battery chargers are designed to fully charge and maintain a wide range of styles of lead acid batteries in ways that avoid the potential damaging effects that can be caused by many trickle chargers. In addition, the manufacturers of Battery Tender chargers offer valuable online education resources for engineering students interested in the science of batteries and battery charging techniques. Their comprehensive reference materials and FAQ's and technical information are a great source of engineering information. National Tooling and Machining Association - The NTMA is the national representative of the custom precision manufacturing industry in the United States. They are growing a crop of inventors and innovators in the Ohio farmlands. This group of dedicated educators, volunteers, and sponsors are working at the grass roots level to create learning opportunities for ambitious, young engineers from all around their region. Check out what these hardworking folks are doing. Maybe you'll want to grow a crop of engineers in your area! 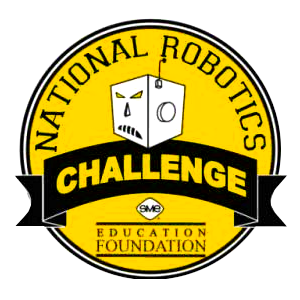 NLR is the premier national organization for high school robot combatants. Middle and high school robotics competition. 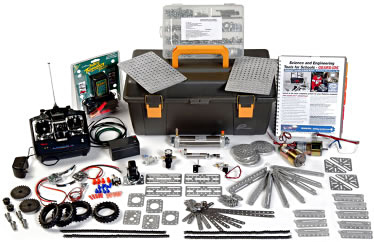 The GEARS-IDS Kit makes it possible for you to design and build a variety of engineering projects using industrial engineering components in the comfort and convenience of your own classroom.